Southwest Concrete Construction does not assume liability for lost time or materials due to malfunction or “unpumpable” mixes. 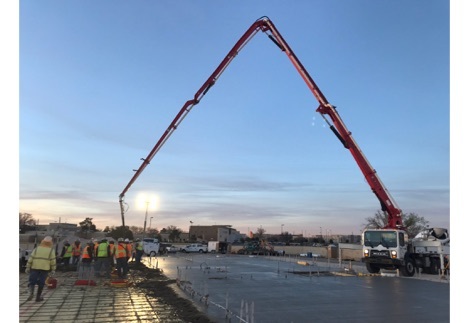 The concrete pump staff at Southwest Concrete has over twenty years experience. We offer various lengths and types of pumps to handle the complex needs of different concrete jobs. Our pump operators are ACPA certified and combine to make our pump service some of the best around. Before scheduling a pump job a Credit Application must be filled out and signed by a company representative. Please include address and phone number for billing, job site contact phone number, directions to job site, and time concrete will arrive. Customers must also provide a wash out area on site for clean-up.